As a mastering engineer, I’m given a chance to see firsthand how scores of mixers from around the world approach their craft. I’ve been able to compare and contrast different approaches taken by mixers – sometimes on the same song – and have been able to hear what works and what doesn’t from both a high-level and granular perspective. After a few decades of analysis, iteration, and errors, I don’t yet have the answer to How To Make A Perfect Mix, but I have learned a bit about what does *not* work, or does not translate well in the real word, during the mixing process. From this vantage point I have compiled a few guidelines that will ensure that your mix reaches only a fraction of its sonic potential. Are you ready to learn how to sabotage your mix? Let’s begin! It can be difficult to separate yourself from the mix, especially in the early stages of your career. But unless you’re making the album to listen to at home for the rest of your life, you should be mixing to suit your audience (or your client). If someone is paying you to mix, you are mixing for them, not you. Typically you should be mixing to make the listeners feel something. And if that’s all you end up with when you are done, you’ve done more than most. People will forgive all sorts of sonic issues with a mix, but if they don’t feel anything when listening to it it doesn’t matter how pristine the mix is – they’re going to hit “skip”. Ask your peers (other engineers or musicians you work with) to listen to your mixes – early and often. Don’t be precious or prideful. Remember the goal: to make someone feel something, to make your music sing the song it was meant to sing. Check your ego at the door, and seek real world feedback. Solicit non-producer friends with no attachment to the song who will give you a flat A/B preference between mixes, or give you a general “feel” impression of how a mix sounds to them without being technical. 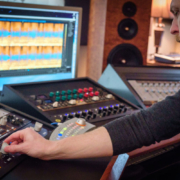 A mastering engineer can help spot issues with your mix, your vocal chain, and even your recording environment. They can reference your mix in an environment where they have heard thousands of other tracks, and give you confidence and guidance in your decisions. Establish an ongoing relationship with a trusted mastering engineer. CDs largely created the loudness wars. CDs are all but dead now. There’s no inherent need for your mix to be as loud as possible. So why are we doing it? More to the point, why are YOU doing it? There are loudness guidelines and even loudness standards, but they are fluid, currently quite messy and confusing – even conflicting – and disparate. Each song has it’s own loudness sweet spot, informed by harmonic content, style, context, medium. You should seek to find this sweet spot, and not worry about how loud your mix is relative to another track – especially in the mixing stage. Music that is too loud can clip and cause more audible distortion on lower quality DA converters. Leave some headroom in your mix. A mix that is part of an an album, but is mixed too loudly, will often necessarily set the tone for all of the rest of the tracks during the mastering process. Do you want your ballads to be at FF? Or would you prefer to have options during the mastering process? Why limit yourself? Currently the loudest music can actually be penalized by different streaming services by being turned down. Conversely, a track that is more dynamic may be end up being streamed at a louder apparent volume. Turn up your monitors, or the headphone send within your OS or DAW. Find the sweet spot where things feel “loud” enough to you, but the meters are not getting slammed inside your DAW. Let your mastering engineer handle making the track loud, if that is what it needs. Your family doctor could probably do a facelift for you, in a pinch. Do you want them to? Don’t be a slave to the arrangement. No one cares about your ostinatos or that sweet aux line you wrote. No one cares that you spent six hours making the snare drum perfect. People care about how music makes them feel, and too many stimuli can make it difficult for a listener to connect with your mix in the way you hope they will. It can make it harder for them to feel something. Your time and energy (and budget) are also limited. Focus your efforts on what matters most. With some exceptions, you should generally focus on the lead and rhythm section first. These elements are often what will drive the song, and what most people will react favorably (or not) to. Other parts of the arrangement, most often, should compliment the lead and rhythm section. Headroom in a mix is zero sum. There is only so much frequency content you can fit into your available space. Gain staging becomes increasingly critical as the mix gets more and more congested. Take as much care as possible to not mix yourself into a corner in this way. Try starting your premix with all the faders down, and bring them up one at a time, quietly. Set up the premix with the dim button on your console engaged, or just turn down the volume knob. Carefully add elements, remove them, and see how they effect the mix as whole. How do they make you feel? Do you always listen to music in the same place, on the same speakers? No one else does, either. Audition your mixes on multiple monitors/headphones and in different rooms if possible. Do you always listen to your music at 11? Well, you shouldn’t. Everything sounds good at 11 (until you can’t hear anymore). Monitor your mixes at the lowest possible level until (or even through) mix down stage. This will be challenging, but will almost certainly leave you with a better sounding mix. If you’ve been mixing loudly, and think you have it perfect, reduce the volume by 70% and listen again critically. Can you still hear the lead? Can you still hear the bass? Is anything poking out? Does the mix ONLY sound good loud? If so, consider doing a save-as and taking a look at your gain staging. A common tendency in mixing is to solo a part, get it sounding good, then solo the next part and do the same. Once you have all the parts sounding great on their own, you pull all the faders up and suddenly … nothing sounds good. Before soloing a part to work on it, ask yourself: is anyone ever going to hear this part in isolation? Does this part exist outside of the mix, such that changes made to it will not affect the rest of the mix in any way? No? Cool story. It’s hard to do, but resist using the solo button too much. Low frequencies have a lot of energy, and take up a lot of room in a mix. Too much low end is a surefire way – maybe the best way – to quite literally limit the sonic potential of a mix. Don’t just boost low frequencies. Make judicious cuts as well. Carve out space for the low end so you aren’t trying to cram it on top of the rest of the instrumentation in the mix. You may find that if you create space for the low end, it will fill itself in the mix organically. You can’t hear what you can’t hear. If your room isn’t reliable and you don’t want to rebuild it from the ground up, or if you don’t have full range monitors, get full range headphones and check your low end using them. Use visualizers (most modern EQs can serve this function as well) as well to confirm or correct what you are hearing. In a typical song, the bass drum and the bass should work together to make the mix move. Make sure they are not fighting. Make sure your bass drum’s fundamental is the right frequency for the song. 50-60Hz is usually in the ballpark, but sometimes higher (and not lower) is better for a given song. Experiment with changing or supplementing the fundamental of the bass drum so that it feels right, and works well with the bass guitar. If you are using octavized vocal bass (i.e. in contemporary a cappella mixing), decide whether you want the listener to hear it, feel it, or both. The decision should be made early in the mixing process, and should be informed by the desired aesthetic, the context of the record, and any other factors you feel important. Be patient with your mix. Let it evolve. Don’t try to make it sound “finished” too quickly. Plugins can do some pretty amazing things, and it can be tempting to try to take shortcuts. Putting a limiter on you master fader to catch peaks as you mix is fine, but don’t master-mix (mix into a MBC or limiter on the master fader as an effect or to try to make it sound “commercial” quick and dirty) unless you’re really, really good at it, or unless the style or music or budget calls for it. Master-mixing means that if adjustments have to be made within the mix, the entire mix buss often needs to be adjusted as well. Getting the “commercial” sound you want without incurring unwanted sonic costs – like distortion, pumping, brightness, flatness, collapse of the stereo image, etc. takes time and expertise. Taking shortcut might get you to 80% of where you want to be, but that 80% could be a hard ceiling. Is 80% good enough for you, or would you prefer to utilize 100% of the mix’s potential? Focus on making the mix sound good and on making all the parts work together to deliver the message you’re trying to communicate. Use other mixes for inspiration, but don’t compare your mix to something on the radio and try to make it sound exactly like it, especially early in the process. Did you spend $100K on your track? Did you spent $10K? The artist you are comparing your music to probably did. Compare apples to apples – or invest more time and/or money. Has your track been mastered? The track you’re comparing against has. The time to compare your music – if you are going to do so – to sensible reference mixes (as in, those whose investments of time, talent, and money mirror your own), is after mastering. If you EQ, compress, and limit your mixes to within inch of their life, you’d better get it right. You can’t undo too much high end. You can’t undo over-compression and limiting. And you can’t regain the lost potential of a mix that has been over/coarsely cooked. The best mixers often leave the different parts of the mix a little rough around the edges. Sometimes a mix will appear dark and quiet at first, but will completely open up in mastering. Similarly, sometimes a mix will feel as though it’s more of a bunch of instruments being played in similar but not quite the same room. These are often the mixes that come together best in mastering. You’ve invested days, weeks, months (years? ), untold dollars, and probably more than a few tears in the mix. It’s a distinct possibility that you may have tunnel vision at this point. If you are the only one who will hear your mix, maybe that’s ok. If you want your music – and your message – to be heard and appreciated by others, you’ll want to hedge your bets. You don’t know what you can’t hear. If your monitoring environment isn’t ideal, It’s likely you are mixing to the room, and the room’s issues will be baked into the mix. Further, your speakers may not even produce the entire frequency range. You don’t know how your music will translate online, or on other speakers (unless you’ve done extensive testing). A mastering engineer does, or at least can make a better guess based on current standards and information. 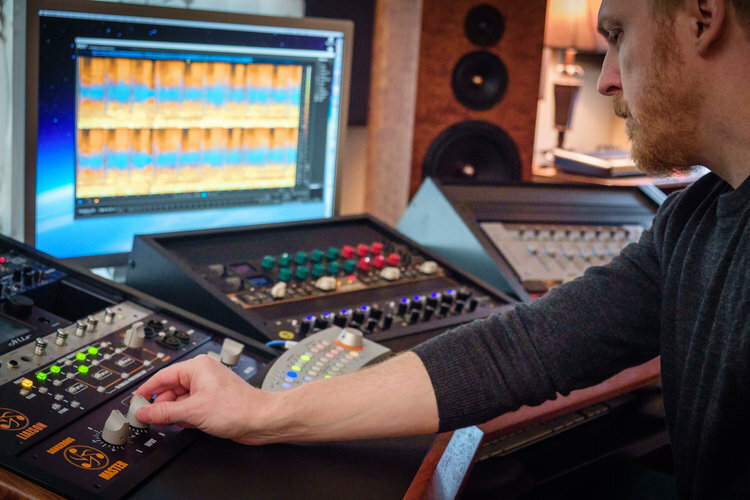 An objective mastering engineer can be one of the most cost-effective, bang for your buck investments you can make in the entire production process. Now that you know how to sabotage your mix, you know to avoid these pitfalls at all costs! If you think of making a mix or a record as one big gamble you are making, you want to maximize your odds of success. Don’t leave money on the table. Leave a little room for magic. You don’t know what you could be missing! — Dave Sperandio is the owner of Vocal Mastering, based in Durham, NC. Copyright © Vocal Mastering. All Rights Reserved.